Paging technology frees up valuable time to manage your business. These pagers work well in noisy environments where overhead paging may be inefficient and help improve guest satisfaction. High-quality components and ultra-rugged design mean fewer dropped pagers and greater durability. 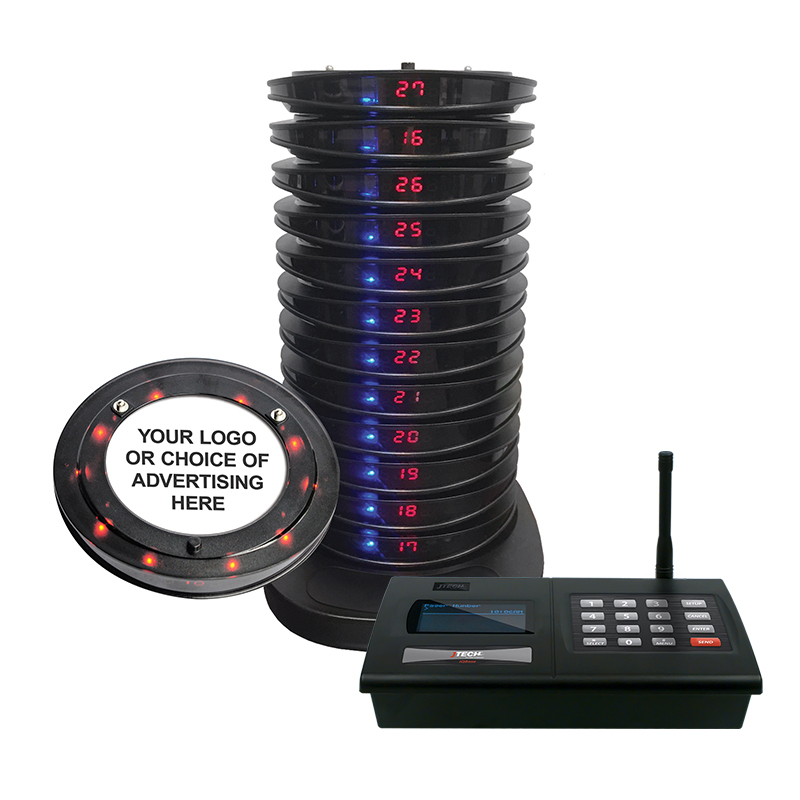 To help reduce loss, the pager also automatically alerts guests who go out of range.